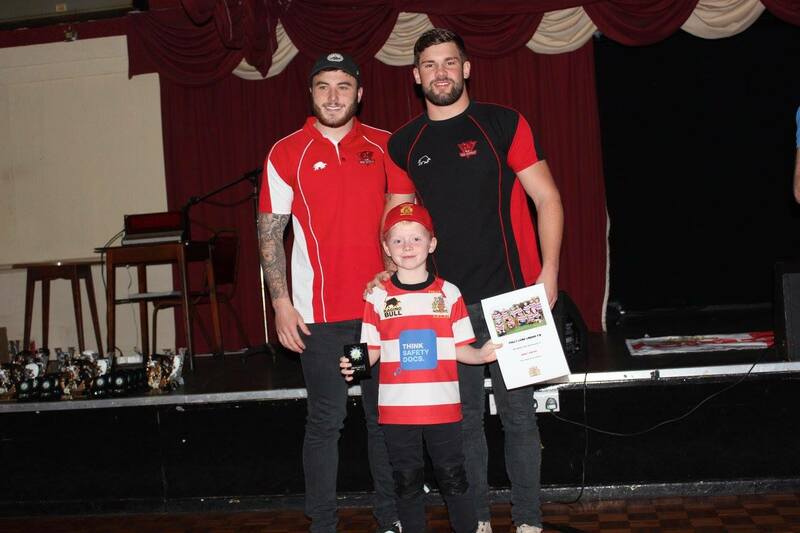 The Salford Red Devils helped get the community Rugby League award season well underway on Saturday, by paying a visit to the Folly Lane to celebrate a fantastic season of junior rugby league. Ryan Lannon and Jake Bibby were on hand to give out the prizes to young players, whilst Salford Red Devils Foundation staff were there to sign as many youngsters up to the new Junior Devils supporters club as possible. "Rugby League is alive and kicking in Salford, not just in the Super League, but at a grass roots level. Hopefully having the boys at these events will inspire the next generation of players."